Cathie, who has now notched up over 50 years in the travel industry! Has a wealth of knowledge and experience in every aspect of travel. In the last 15 years, Cathie has been concentrating on exclusive fully escorted tours and cruises. From South Africa, Croatia, France, Italy, Vietnam and cruising south-east Asia, Cathie has travelled to some of the most amazing destinations in the world. Cathie has also escorted a group on the luxury small ship, Silversea “Silver Whisper”, cruising the Baltic Sea to beautiful northern European countries including Estonia, Latvia, Finland, Russia, Poland, Sweden and Denmark. Cathie was so delighted by Silversea’s magnificent small ship and five star luxury service, she decided to combine our annual private Insight Vacation’s luxury coach tour of the Canadian Rockies with the Silversea “Silver Shadow” Alaska Inside Passage cruise which our clients have thoroughly enjoyed for the last two tours. Don’t forget to also contact Cathie to find out all there is to know about Croatia, Cathie and Len have travelled there many times and are experts! Crandon our resident Premiership football coach and now assistant boxing coach has worked in the travel industry since 1987, and is a co-owner and the office manager at Cathie Rice Travel. Crandon has been a Top 20 Gold Achiever in Western Australian for Qantas Holidays International from 2006 right through to 2014 and also won “Owner/ Manager of the Year in 2011 at the Travelworld Awards”. Adventure and expedition travel is something that Crandon really enjoys; he has escorted two small group trips to Antarctica with a third planned for February 2018 and has also escorted an amazing trip to the Arctic and Norway which included a Polar Bear Safari, In April 2017 Crandon took a small group to the Galapagos Islands and Peru which also included the famous Machu Picchu! Contact Crandon for more information on these destinations! Steve has been part of the team for over 10 years and is our resident Cyclist, thinking nothing of hitting the streets bright and early to get in a ride before work and his “Zen” time! Steve has traveled to Kota Kinabalu in Malaysia,Phuket and has also cruised on the Athena, P & O’s Pacific Sun and has also traveled to the Magical Bay of Islands in New Zealand along with Bali and Dubai. He has also travelled to most of the major cities here in Australia so if you have any queries regarding domestic travel feel free to drop him a line! Steve has visited China and was able to visit the Panda Wildlife Park in Chengdu, the Terracotta Warriors in Xian, Tiananmen Square and the Forbidden City, with the highlight being able to climb the Great Wall in Beijing! !He has also travelled to the USA and visited New York, Las Vegas and Los Angeles, his favourite city on this trip was New York and he was able to be “a big Kid” at Disneyland in Anaheim, California. In 2016 Steve took a small group to Spain and Portugal, everyone on the tour had a fantastic time enjoying the sights, fantastic meals and wines…Contact him now for the first hand knowledge on Portugal and Spain! Over the last 12 months Steve has travelled to the Gold Coast with his family to tackle the Theme Parks and Australia Zoo, then it was off to India in Nov/Dec 2017 where he fell in love with this vibrant, colourful country which included a fantastic cruise on the Ganges! Most recently was a Ski trip to Queenstown NZ to experience snow for the first time and or course learn how to Ski, he had the best time and now considers himself a Powder Hound! Feel free to drop him a line if you have any questions relating to these destinations. I am in my 9th year at Cathie Rice Travel and during my time here, I have travelled to many amazing destinations. One of my favourite holidays would have to be South America, visiting Peru’s Inca city “Machu Picchu” and exploring beautiful villages well off the beaten track. In November 2016 i was lucky enough to be able to cruise on the Magnificent Ovation of the Seas! Contact Misha for all things cruising! With over 25 years’ experience in the Travel Industry, Camilla is a highly experienced Travel Consultant. During this time she has worked in a variety of sectors including the Airline Industry, Airport Check In, Retail and Corporate sales. 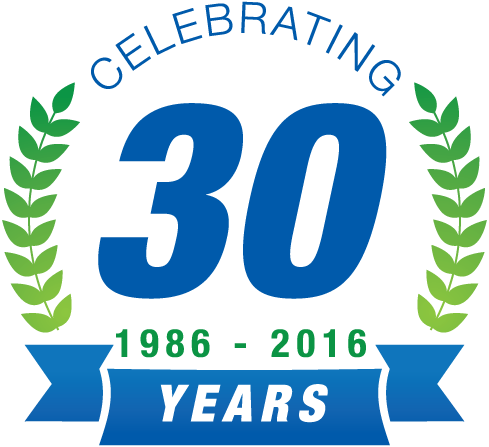 During my 10 years with Cathie Rice Travel, I have been blessed to experience a number of vastly different destinations and adventures. From cruising the rivers of Europe, to cruising the Mekong in Vietnam. From the bright lights of New York and the fabulous East Coast of USA to Europe in the middle of the Winter Market season. Most recently I spent quality time with family on the North Island of New Zealand. I would love to share some of my travel experiences with you. Camilla’s dream holiday would be to visit either Machu Picchu, Peru or the Camino de Santiago, Spain. I have been with Cathie Rice Travel for 8 years and have had many amazing travel experiences in that time. My favourite destination is the beautiful islands of Croatia – the local food, wine, stunning beaches and buzzing atmosphere make it a place I hope to visit again in the future. When I travel I love to get the most out of every day! I find guided holidays are a great way to do this and have had fantastic experiences with Trafalgar, Contiki and Insight Vacations. I have been at Cathie Rice Travel since 2011 and have travelled throughout Australia, south east Asia, cruised the beautiful South Pacific on “Carnival Legend” and lastly cruised on “Astor” out of Fremantle. I recently travelled to New Zealand and experienced snow for the first time which was amazing! I also love my short getaways to Bali so contact me if you need any first hand tips for Bali! Andrea is our groups co-ordinator, She has travelled extensively through-out the world and has recently discovered the joys of cruising. What a perfect way to take a relaxing holiday! Andrea helps to put together our Escorted Tours, and can offer advice and make reservations for passengers who wish to extend their tour. Her favourite destinations are the beautiful Rocky Mountains in Canada and the breathtaking Fjords of Norway. She dreams of one day travelling to Gallipoli for the Anzac Day service. Beverley has worked for Cathie Rice Travelworld for 12 Years. She has escorted many of the tours that are exclusive to Cathie Rice to many destinations through-out the world. Some of which have been Canada/Alaska, Vietnam, Norfolk Island, A cycling tour of France and the most recent the popular Luxury Europe River Cruise. Beverley’s favourite destination is Tuscany in Italy as she has a cousin who lives in Lucca and she loves to visit. Her dream holiday would be to stay in a villa in Italy for a couple of months she would also love to experience a White Christmas. Len has joined Cathie on numerous escorted holidays and has made many wonderful friends along the way. He is on the road to recovery, and is looking forward to joining Cathie and our small group on the boutique riverboat “Louisiane” on the ‘Rhythms of the Deep South’ Mississippi cruise in October. Siobhan Bayliss is one of our administration and client processing staff. Siobhan has worked in the travel industry for many years with 2 years in Tourism, 6 years with Ansett and then 4 years with Qantas so you can feel confident when speaking with Siobhan about your plans and she is more than happy to share her knowledge with you. Siobhan has travelled extensively throughout Australia and across the world with some of the other destinations being UK, Hawaii, Hong Kong and Hamilton Island. Siobhan has been the most impressed with Hamilton Island and would recommend this as a great getaway. Her dream holiday would be to Italy and the Maldives. Carolyn joined our administration staff in May 2013. Carolyn grew up in Carnamah, a small country town before shifting to Bunbury with her family in 1998. Previously working at Bank West for 10 years and 13 years with the Commonwealth Bank Bunbury she has had a lengthy finance industry background with extensive customer service experience. In 2016 Carolyn had a great trip touring Britain and Ireland with Insight Vacations and then cruising the Mediterranean on the MSC ship “Fantasia”. Carolyn’s favourite saying is – Travel is the only thing that you buy that makes your life richer! Michelle has been with the team for over two years. She has over 20 years of customer service experience having previously worked in the retail industry, Michelle also assisted Steve with the group trip to Spain and Portugal in 2016, she enjoys greeting our clients when they arrive in our office and can’t wait to hear about where they are travelling to next! 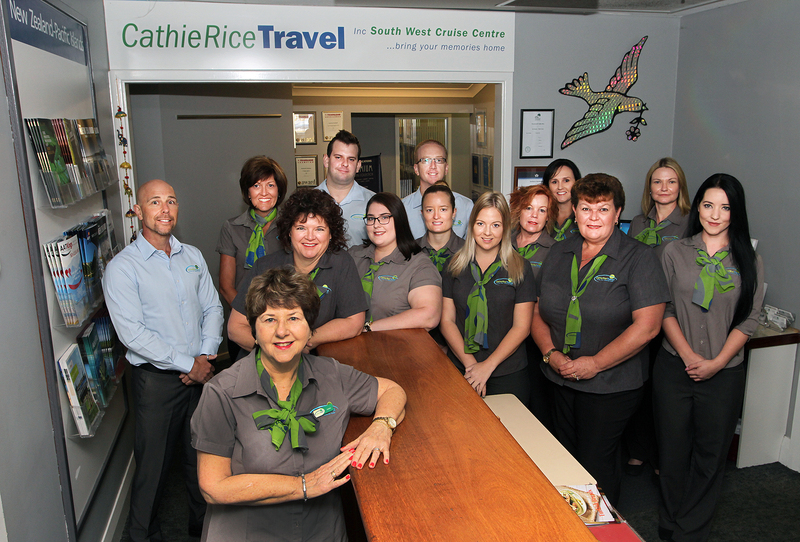 Janell has been in the travel industry for 16 years and is the Manager of Cathie Rice Travel’s Collie store. Her two favourite destinations are Mauritius for the beaches and relaxing atmosphere, and Vietnam, where she visited the amazing Cu Chi Tunnels and Hoi An with the ancient town which the only mode of transport is a bicycle! her most recent holiday was to Melbourne for the Spring Racing Carnival to experience the thrills of the Melbourne Cup and culinary delights of the restaurant scene! One of her favourite things is planning your holiday and hearing about your experiences upon your return. Fill in the form below to get the latest news and offers from Cathie Rice Travel.